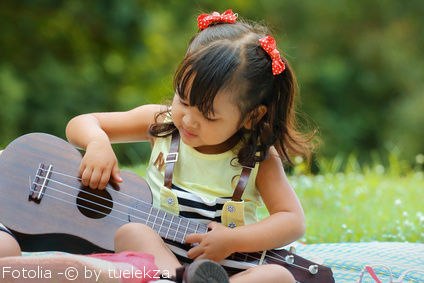 When giving guitar lessons for kids, you may ask yourself how to teach a child guitar chords, so that it’s fun and understanding at the same time. You can’t just hand them any dry teaching material that you would use for adult beginner. 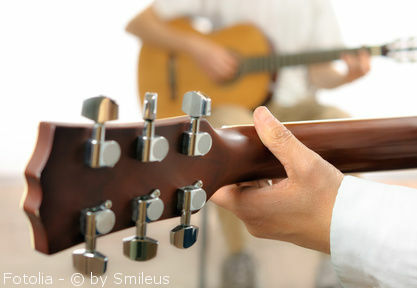 Instead your guitar lessons should be designed that it’s fun. The younger children are the more you need to entertain them. Learning basic guitar chords is one essential pillar of playing the guitar. That’s why I created a guitar chords book especially designed for guitar lessons with young kids. You can get this book as PDF for free! 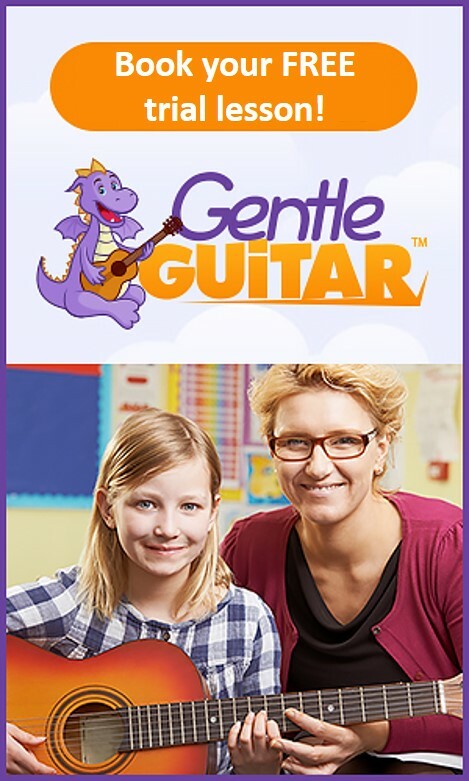 Since guitar lessons for young kids require a quite different approach, I had the idea to design teaching material aiming at children. Standard chord sheets are not really logical for little kids at the first glance. 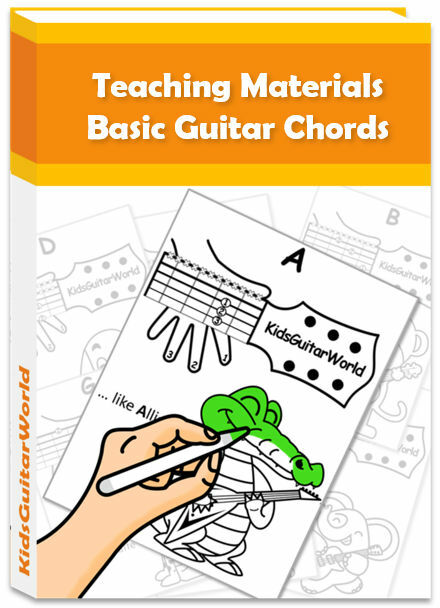 The following guitar chord sheets are the first step to provide you as teacher some kids-friendly material to teach them the basic chords on guitar. These chord charts below are very visual and catches immediately the attention from your young guitar students. 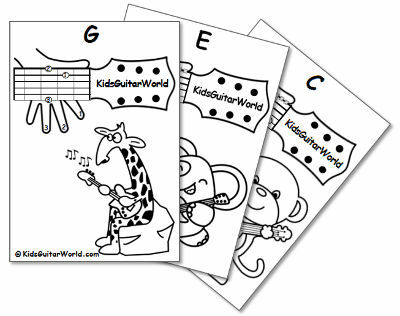 The chord sheets are designed in a way that kids can easily understand them. The diagram for a chord is laid on the guitar neck with the left hand. 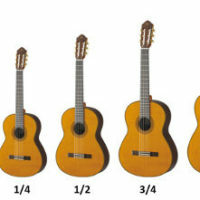 Numbers indicate which fingers to put on which guitar string. 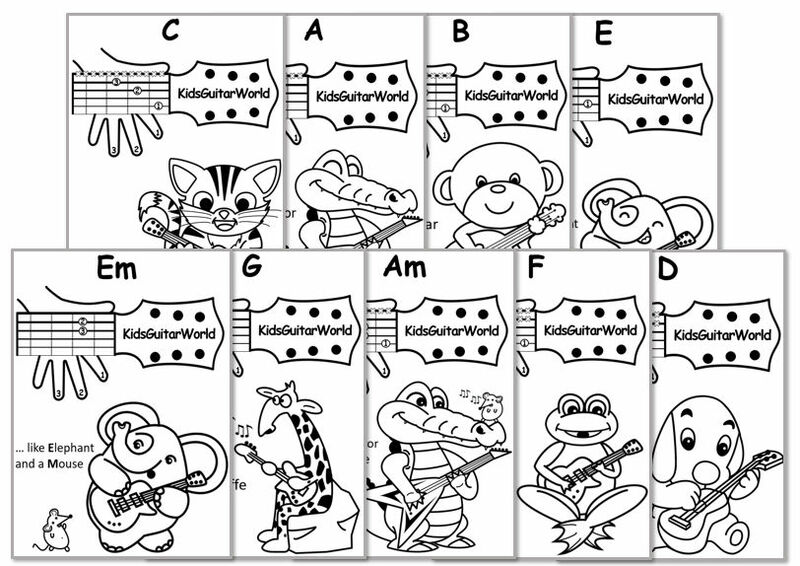 In plus each, chord sheet features a black white animal to paint out. These chord sheets cover the basic chords and can help you in order to teach your students some easy guitar songs. 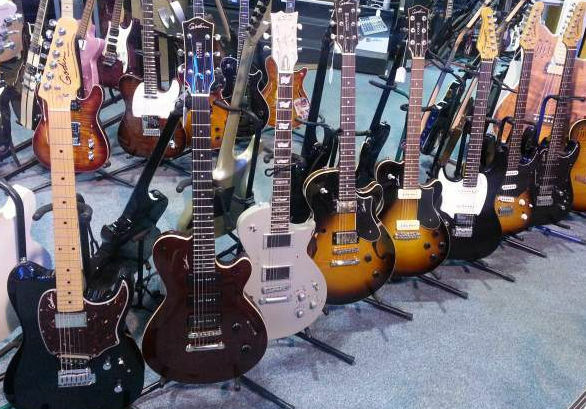 If you are a guitar teacher, then find more tips on how to make your guitar lessons better.